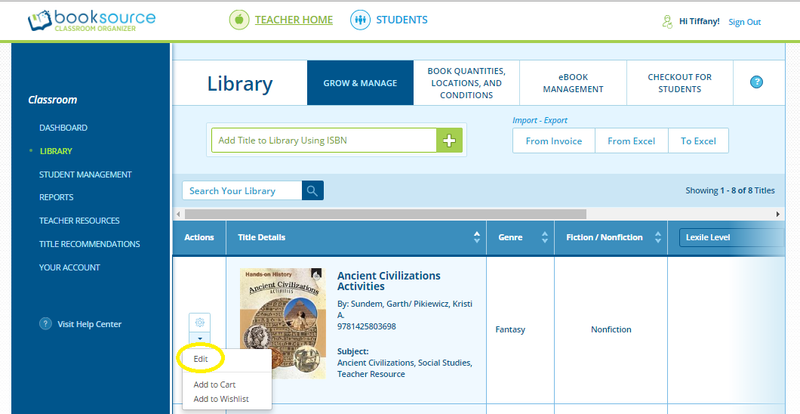 You have the ability to edit titles and or copies in your library. To edit title information from Grow & Manage, select Edit from the actions column next to the title you want to make changes too. This will open up the text boxes to make the necessary changes to the available fields. Then select Save from the actions menu. 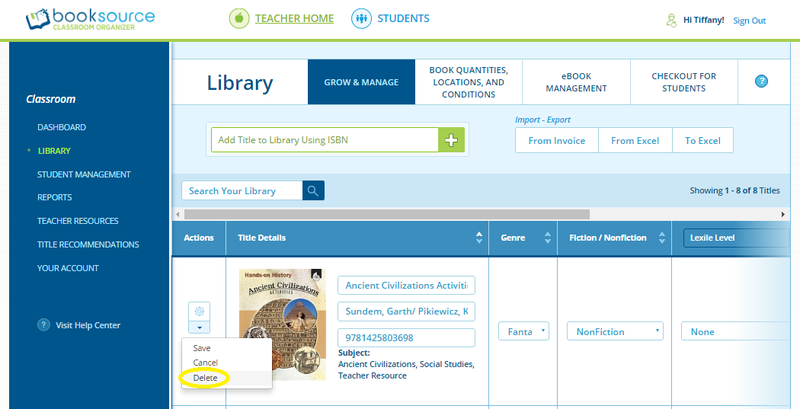 This will save the edits or changes you have made to the title details or additional library information. 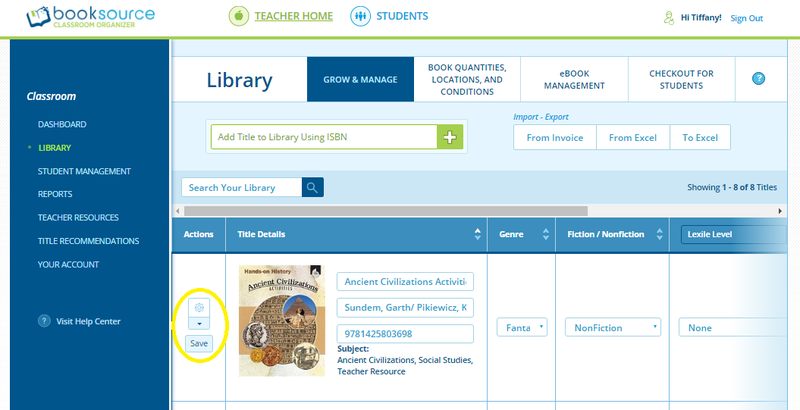 If you want to delete a title from the library, use the action menu by choosing Delete. 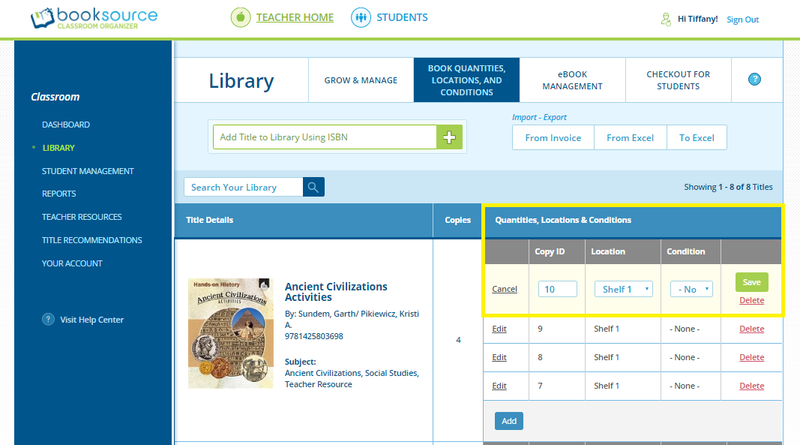 You can edit individual copies, location and condition for the titles in your library in Book Quantities, Locations & Conditions. This can be done on a per copy basis by selecting Edit next to the copy you want edit and then Save. To delete a copy of a book, choose Delete in red which is in the far right hand column.